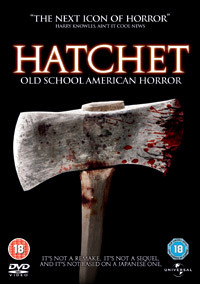 Hooray - one of our favourite film of recent years, Hatchet, finally comes to Region 2 DVD on January 28th and to celebrate, Universal have kindly given us three copies of the film to give away on this site. To stand a chance of winning, simply answer the question below, enter your name and email address below and press submit. Unfortunately, we can only accept entries from people aged 18 or over who live in the UK and Eire. 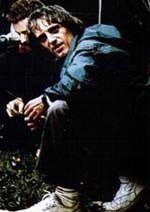 What is the name of the film Adam Green made after Hatchet? I felt ready to do something strong, sexual…dirty even!